Each year March is dedicated to Women’s History Month. 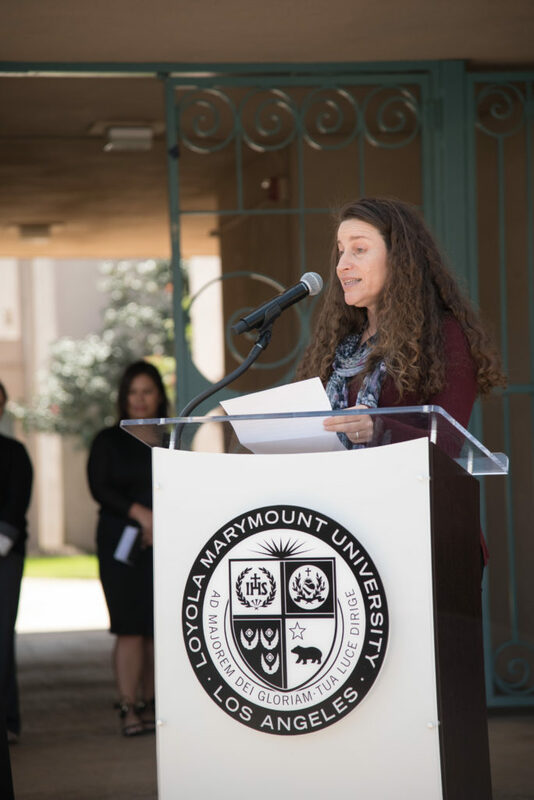 LMU Seaver College is celebrating this month by featuring some of the amazing women in our college, who are extremely successful in their fields. Cheers to celebrating Seaver’s own wonder women! Here we feature a Q and A with Wendy Binder, Chair and Professor of Biology. A: I fell in love with biology in middle school, but it took me awhile to realize that I could do biology as a profession (I thought of it as a means to a health-professions career initially). I have always enjoyed school (yes I was that geeky all along), and once I realized I could continue to study biology and never have to leave the University, I knew what I wanted to do. A: It really depends upon the student. I try hard to personalize all of my interactions with students – everyone is different. I do try to emphasize my deep belief in hard work. Hard work, persistence and resilience are requirements in almost anything we do, so I try to let students know that they have all of the ability they need, but without those qualities, it can be hard to reach any goal. A: My advisor was a woman, and she is likely one of the most important reasons I was able to succeed. She was supportive and encouraging to me, and seeing her be so successful (she’s internationally known and respected in the field), really gave me the view of someone like myself.